How do we love Atlanta? Let us count the ways. It’s actually a very challenging undertaking. That’s because Atlanta has so much to offer those of us who choose to call it home. From the metro area’s cost of living to the incredible employment opportunities to the wide array of amenities and attractions that intrigue residents and visitors alike, the reasons to treasure our fair city are as numerous and varied as the people who reside here. And what makes the city truly unique is that every person’s list can—and will—be different. If you’re thinking of relocating to Atlanta and are ready to start a list of your own, let the team at KNOWAtlanta help get you started. We’re sure you’ll want to put the following 20 items right there at the top. The history of Atlanta dates back to the early 1800s and includes remarkable people and significant events that have impacted not only Georgia, but also the country and the world. Head to spots like The Atlanta History Center, The King Center and The Carter Center to step back in time and learn about Atlanta’s rich heritage, which includes significant cultural, political, humanitarian and literary happenings. According to the Bureau of Labor Statistics, Atlanta’s local rate of employment growth sits above the national average. In fact, Moody’s reports that employment growth is expected to hit around 14 percent through 2019. And with major employers like Delta Air Lines, The Home Depot and UPS hiring local, as well as a plethora of new companies of all sizes calling Atlanta home, the city continues to offer solid job opportunities. The cost of living has a direct effect on one’s quality of life, and Atlanta strikes the perfect balance. 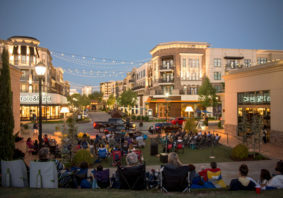 According to the Metro Atlanta Chamber, Atlanta is well below other metro areas of similar size when it comes to costs like housing, groceries, healthcare, utilities and transportation, surpassing Boston, Chicago, Dallas, Baltimore and Washington, D.C. in providing residents with the ability to enjoy an exceptional standard of living. As one of the fastest-growing high-tech urban centers in the country, metro Atlanta boasts nearly 13,000 technology companies that are leading the way in technology design, implementation and innovation. In recent years, Atlanta has actually emerged as one of the world’s elite tech cities and was named by Forbes Magazine as one of the top three cities in the country to soon become a tech mecca. Of course, it’s not just technology that has placed Atlanta on the map. A number of industries thrive in the metro area, according to the Metro Atlanta Chamber. 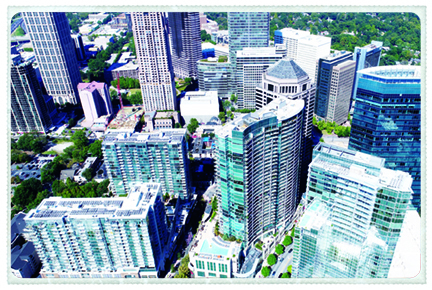 Major industry segments include bioscience (with global health organizations like the Centers for Disease Control and Prevention making Atlanta their home base), supply chain management (thanks to the city’s vital geographic location) and mobile technology (making Atlanta the number one ranked mobile-friendly city in the country), among others. 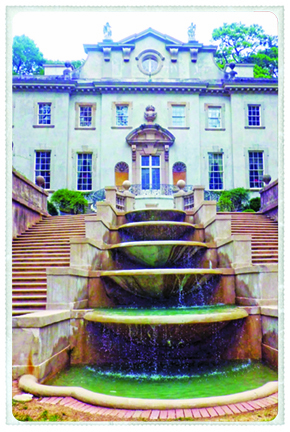 Atlanta is a bona fide education hub, with more than 60 colleges and universities located in the metro area, including Georgia Tech, Georgia State University, Kennesaw State University, Morehouse and Emory. And not only are recent graduates from those schools staying in metro Atlanta, but others from around the country also are making their way here. According to NerdWallet, the city’s low cost of living and high salaries are why Atlanta made the top 10 list of contenders for recent grads. Recently, Atlanta was ranked number one by Business Facilities Magazine as the city with the lowest cost of doing business. And that’s just one factor that has encouraged so many major companies to place their corporate headquarters somewhere in the metro area. Atlanta is actually home to 15 Fortune 500 companies and 11 Fortune 1000 companies, including Coca-Cola, Chick-fil-A and The Home Depot, all of which were founded right here in Atlanta. According to Atlanta Inno, Atlanta is very supportive of the startup community, serving as a great locale for the next generation of innovators. In addition to boasting access to willing mentors to help guide entrepreneurship, the city also is home to an array of startup incubators and accelerators, including Atlanta Tech Village, the Center for Civic Innovation and the Women’s Entrepreneurship Initiative. Coined the “Busiest Airport in the World” for 20 consecutive years, Hartsfield-Jackson Atlanta International Airport is within a two-hour flight of 80 percent of the U.S. population and serves 150 national and more than 75 international destinations in 50 countries. 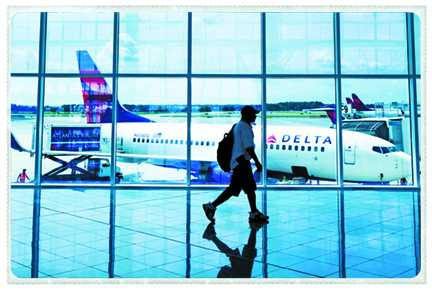 Atlanta’s main airport also averages 275,000 passengers a day. 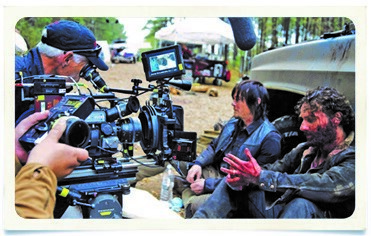 When the Georgia Film, Television and Digital Entertainment Tax Credit was implemented several years ago, it sent the state’s film industry into overdrive. The government estimates that the film industry has boosted the state’s economy by approximately $7 billion through job creation and tourism—and much of the work being done is happening in studios in metro Atlanta, including Pinewood Studios, Eagle Rock Studios and Three Ring Studios. Spring and fall are two of the best times to enjoy the outdoors in Atlanta, with the former bringing warm sunshine and the latter heralding in cool breezes. Winter temps in metro Atlanta are quite mild with only a few days of snow each year. And while it admittedly gets hot during the summers, it offers the perfect rationale for enjoying an afternoon by the pool with family and friends. While Atlanta evokes thoughts of a bustling metropolis, the metro area also offers access to some of the most beautiful and serene lakes in the region. 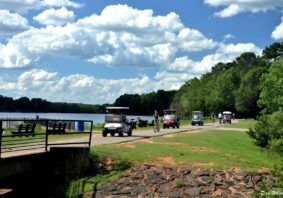 Lake Lanier, Lake Allatoona, Lake Oconee and Lake Arrowhead, among others, boast everything from fishing to swimming to water sports and more. And while the majority of these lovely reservoirs are in fact man-made, they are local gems that bring local residents back to nature. It’s no surprise that Atlanta has ended up on The Daily Meal’s Top 20 List of Best Cities for Food. In 2018 alone, 11 local restaurants and chefs were named semifinalists for the esteemed James Beard Award, recognizing several area restauranteurs for outstanding baker, chef and restauranteur, among other categories. From soul food to cultural cuisine to farm-to-table delicacies and beyond, there’s something for every palate and budget. 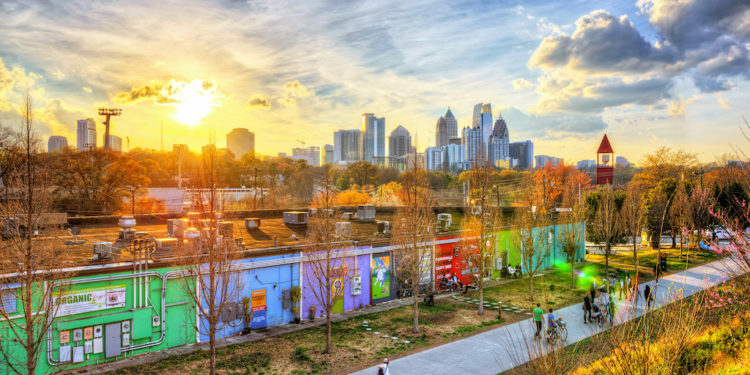 In recent years, Travel+Leisure has ranked Atlanta in its top 10 for America’s “Most Cultured Cities.” The arts are palpable here, with music, performing arts and visual arts venues welcoming visitors throughout the year. The Fox Theatre, the Woodruff Arts Center (which houses the High Museum of Art, the Atlanta Symphony and the Alliance Theatre), the Westside Cultural Arts Center and the Cobb Energy Performing Arts Centre are just a few of the beloved spots where you can nourish your soul with culture. With a climate that makes being outside almost year-round quite pleasant, outdoor activities are abundant for locals. 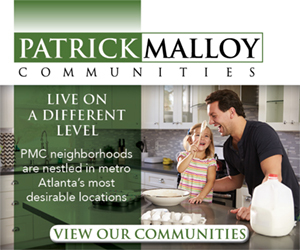 And with dozens of parks throughout metro Atlanta, there’s always somewhere to go. 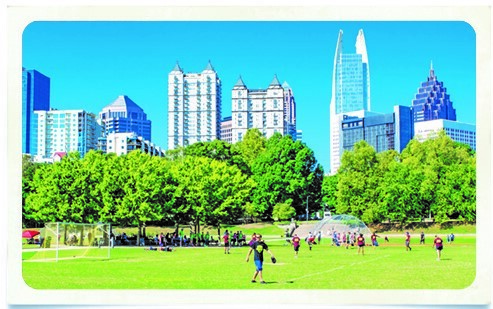 From Piedmont Park to the BeltLine to the Silver Comet Trail, as well as a plethora of prominent neighborhood parks like Grant Park, Chastain Park and Freedom Park, gorgeous green space is right around the corner just waiting for a stroll, a jog or a game of catch. If there’s anywhere you can actually shop till you drop, it’s right here in Atlanta. In fact, the city has more shopping center space per capita than any U.S. city besides Chicago. 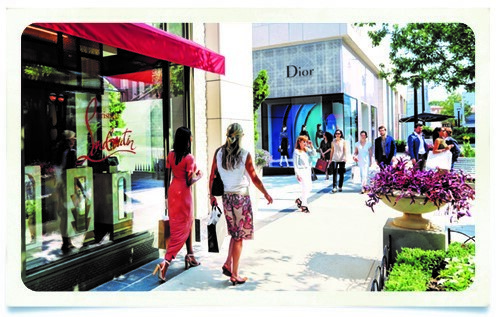 Traditional malls like Phipps Plaza and Lenox Square are now being complemented by mixed-use retail marvels like the Shops at Buckhead, the Outlet Shoppes of Atlanta, Avalon, The Collection at Forsyth and the soon-to-open HALCYON. And that doesn’t even count the numerous boutiques found in locales throughout the metro area. 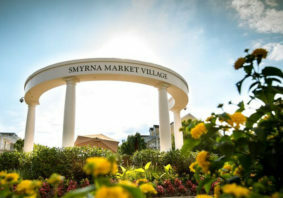 It’s undoubtedly a shopper’s paradise. 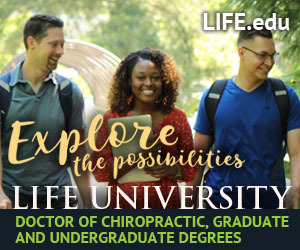 Metro Atlanta is home to some of the most renowned, state-of-the-art medical facilities in the nation. In 2017, Hospitals and Health Networks’ 19th annual “Most Wired Hospitals and Health Systems” survey revealed that four of the country’s most digitally innovative hospital systems reside in metro Atlanta: Children’s Healthcare of Atlanta, Grady Memorial Hospital, Piedmont Healthcare System and WellStar Health System. What’s more, research firm Healthgrades has given many of Atlanta’s hospitals a five-star clinical rating for everything from obstetrics and emergency medicine to coronary care and neurosurgery. Whether you’re into music, arts and crafts or even chili cook-offs, the festival scene in Atlanta is simply one of the best in the country. Festivals welcome residents and visitors from near and far to indulge in a few of their favorite pleasures, from the always highly anticipated Music Midtown and the annual Atlanta Dogwood Festival to Cabbagetown’s Chomp & Stomp Chili Cook-off and Bluegrass Festival. No matter what time of year it may be, you’ll find a festival for every reason and every season. Who knew that Atlanta was such an incredible sports town? We did. 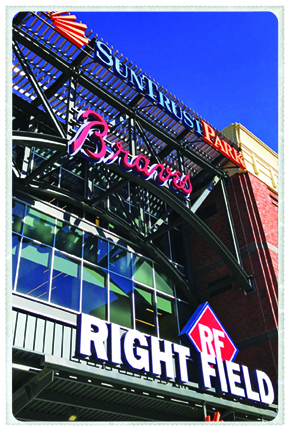 Atlanta is home to several highly regarded professional sports teams, including the Braves, the Falcons, the Hawks and Atlanta United, as well as some of the country’s most state-of-the-art stadiums, arenas and ballparks. In fact, the 2019 Super Bowl will be hosted at Mercedes-Benz Stadium, while the 2020 NCAA Men’s Final Four games will be held at the recently renovated State Farm Arena. For years, Atlanta has been recognized as one of the best tennis towns in the country. In fact, it has appeared on list after list of the best cities for tennis. Much of that praise can be attributed to the Atlanta Tennis and Lawn Association (ALTA), which boasts 80,000 members who are devoted to league play throughout the area. It also helps that the city is home to hundreds, if not thousands, of tennis courts throughout the metro area. Couple that with amazing year-round temps and you’ve got an ace environment for the popular pastime. Georgia is home to an array of iconic foods, from peaches to peanuts to pimento cheese. And there’s one beloved food that can be traced right to the City of Atlanta: the chicken sandwich. Well, the delectable original chicken sandwich topped with two pickles on a perfectly toasted bun, courtesy of Chick-fil-A. And now, everyone can enjoy the chance to learn more about the company behind it all. For true fans, the Chick-fil-A® Backstage Tour is a rollicking journey through the history of the number one chicken restaurant chain in America. The tour includes a guided walking storytelling experience that takes attendees back to the beginning when S. Truett Cathy founded Chick-fil-A in the 1960s. On the Original Tour, the focus is on Cathy himself and the core values and culture of the company he so lovingly created. 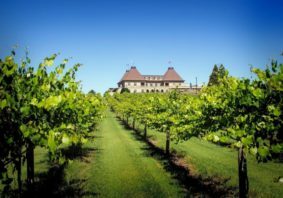 With the Deluxe Tour, attendees also get to visit Cathy’s office, savor tastings in The Kitchen and spend time in The Nest (the company’s training and innovation center). It’s an excellent way to go behind the scenes and get to know everything about Chick-fil-A, from the hospitable people and the delicious menu to the adored Eat More Chikin® Cows. Located moments from downtown Atlanta, the Chick-fil-A Support Center is nestled on a scenic 80-acre campus just off Buffington Road. Tours are held Monday through Friday for adults and children over the age of 6. School trips are welcome as well, while complimentary tours are available for tour operators. For more information, visit tours.chick-fil-a.com. To learn about special group pricing, call (404) 305-4163 or e-mail chick-fil-abackstagetour@chick-fil-a.com.